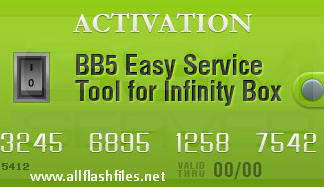 Here we have shared latest and full setup of BB5 service tool and free downloading links are available for download. We are sharing free and official site download links. So you can manage it easily. BB5 service tool can support for all over Nokia BB5 handsets. Basically BB5 service tool is used for unlocking security code calculation by IMEI. You can recover all forgotten codes. Otherwise you will need to complete flash your mobile with its latest flash files. Flashing of mobile does at those stage if mobile is working slow or completely break with the reason of its outdated or corrupted firmware. If you will flash your mobile with its latest flash files it will restored in its original settings. You can use many other flashing tools or boxes for servicing mobiles. It is little bit difficult work for you to flash mobiles with tools instead of flashing with boxes. Now you can download latest setup of BB5 service tool from below download links. If downloading links are not working or you are unable to download it from below links please contact us via commenting we will update downloading links. The downloading links are recently tested and well working and cleaned by dangerous viruses.